You are here: Home / From My Kitchen / Great Lasagna Mom! As I experiment with trying new vegan and vegetarian recipes, I came across this one that truly fooled NAOM and MTA. There are a few words you do not want to use around your family especially the male species and they are “tofu” and “vegan”. ” What do you mean there is no meat in here?” So the best thing to do is just make a dish that you like and and not say a word. As we started eating the enchiladas I asked the question how does it taste and the response was “good” followed by “what’s in here”? So I carefully contemplate which ingredients I wanted to mention. 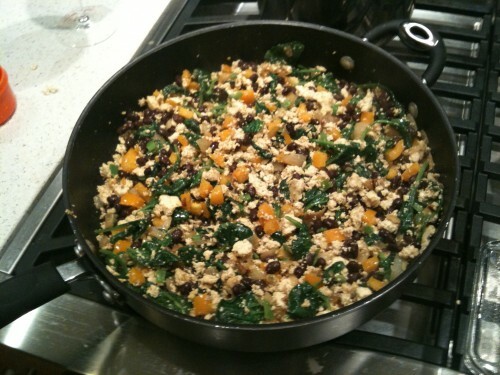 “There’s tomato sauce, garlic, onions, red peppers, black beans and tortillas”. NAOM piped up “what I thought this was lasagna?”. Whew ! This is a good sign as we continue to eat in quiet contentment. 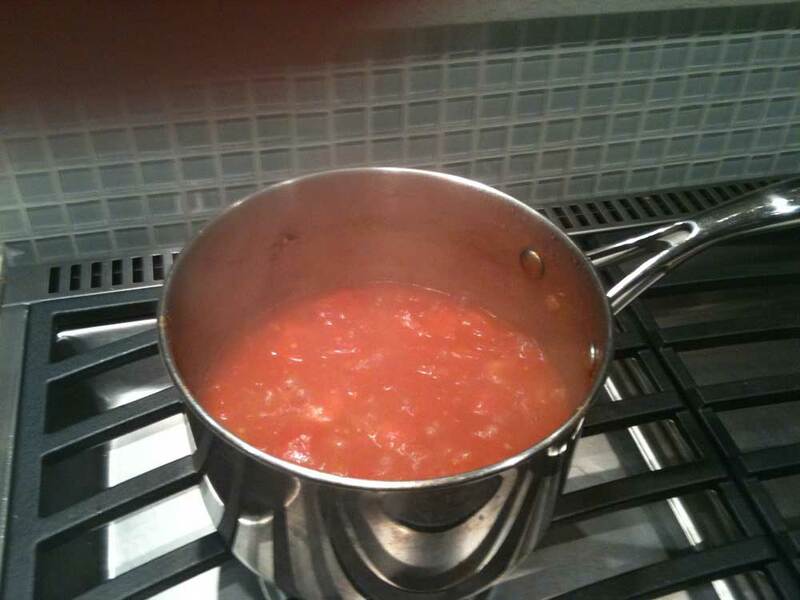 There are a number of variations for this recipe that you can make depending on your preference for heat and the availability of ingredients at your local grocer. Hot peppers are not always easy to find, so feel free to substitute anything that you find such as jalapenos or habanero chillies. 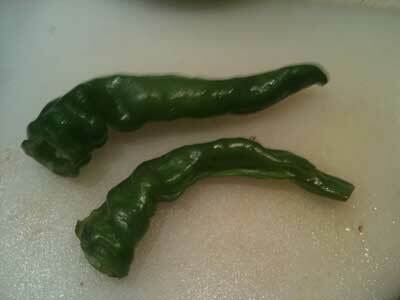 I was fortunate to find these green Anaheim chilies at the local Save On Foods store. The Anaheim chilies may also be red and the habanero chilies may be as much as 30 times hotter than a jalapeno, so choose your heat carefully. Although this recipe appears to have a lot of ingredients it is relatively easy to make. Start with the tomato sauce first as it needs to simmer for 30 minutes and then put in the food processor. Chop, dice and grate all the ingredients first and set aside in small bowls. Next cook the enchilada filling ingredients and then you are ready to fill the tortillas. I had trouble finding authentic corn tortillas where I live so I decided to try a gluten free variety. Once out of the package I thought that “these are going to taste awful”. They were very rubbery and heavy and not something you would want to eat as a wrap but I went ahead and used them. Be sure to warm them up in the oven or microwave first as this will make them a bit easier to handle when filling. Also, the tortillas will soften when all the juice from the filing and tomato sauce meld into the tortillas while baking in the oven, just like lasagna. 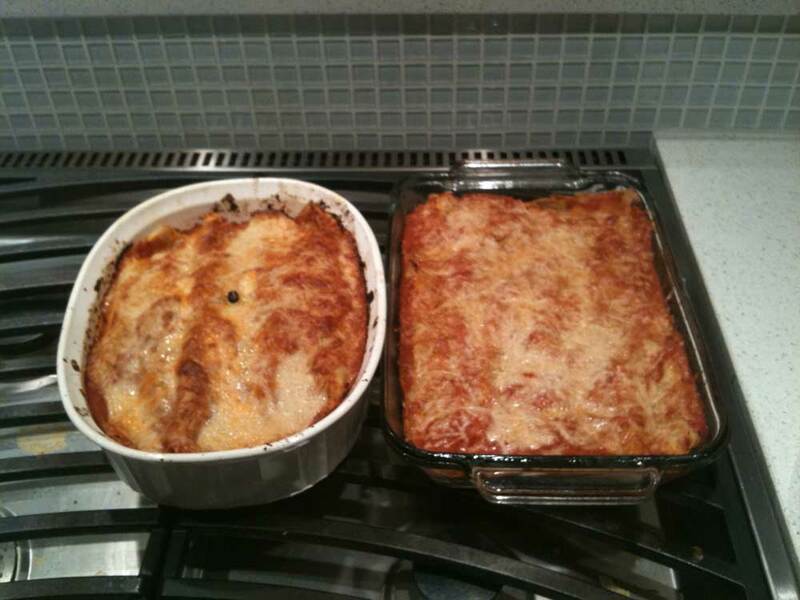 This recipe goes a long way so I had to split the ingredients between two baking dishes, so a larger dish than the one mentioned in the recipe will be needed. If you are going to layer the tortillas on top of one another then make sure you add some tomato sauce between the layers. 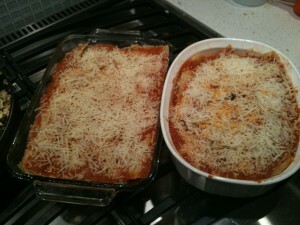 After spreading the enchiladas with the tomato sauce, I sprinkled grated Parmesan cheese on top before they went into the oven. 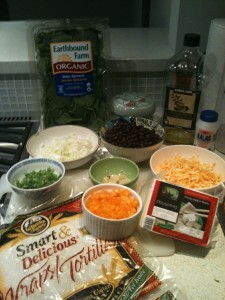 To make this a vegan recipe substitute Daiya Foods products for the cheese. Daiya is a relatively new Vancouver manufacturer of vegan cheese substitutes and carry shredded cheddar, parmesan and pepper jack. I will be testing Diaya Foods in future blogs so keep posted. ENJOY ! I finally read your blog. It is sort of nice, feels like you are talking to me. I am going to try your recipe for enchaladas. It looks delicious. I will let you now how it goes over with the family.